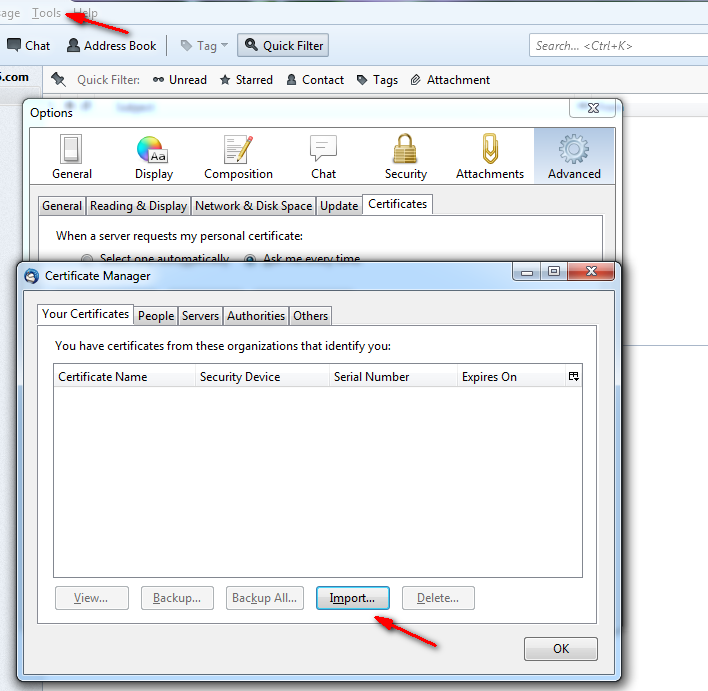 Goto the account settings and choose the imported certificate under security. 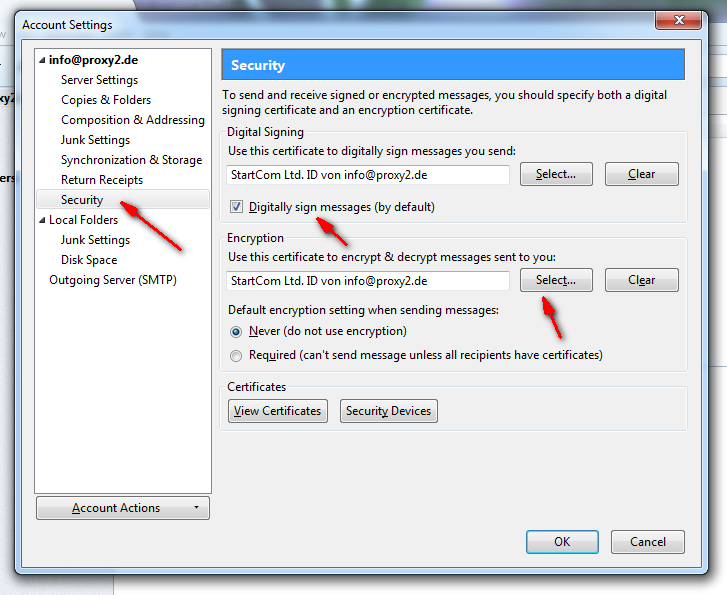 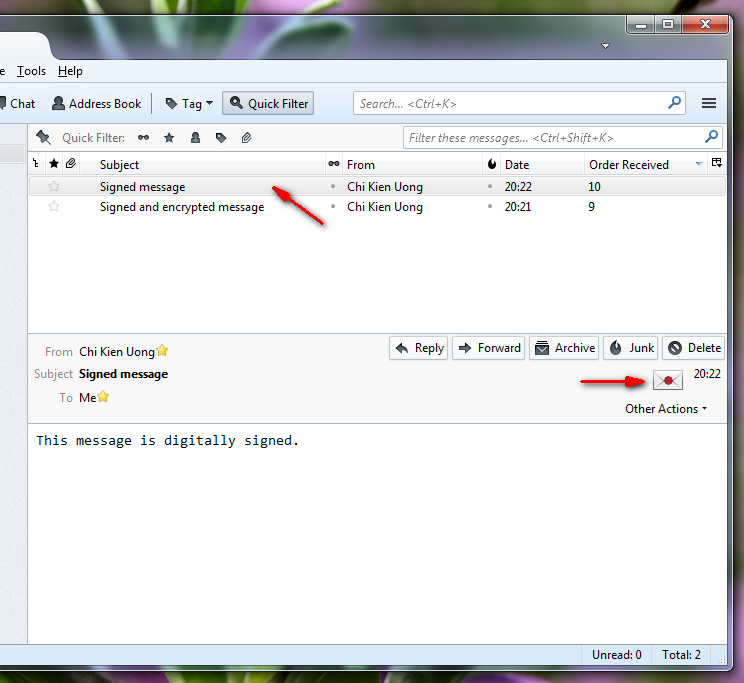 A signed message is marked with a certificate icon in Thunderbird. 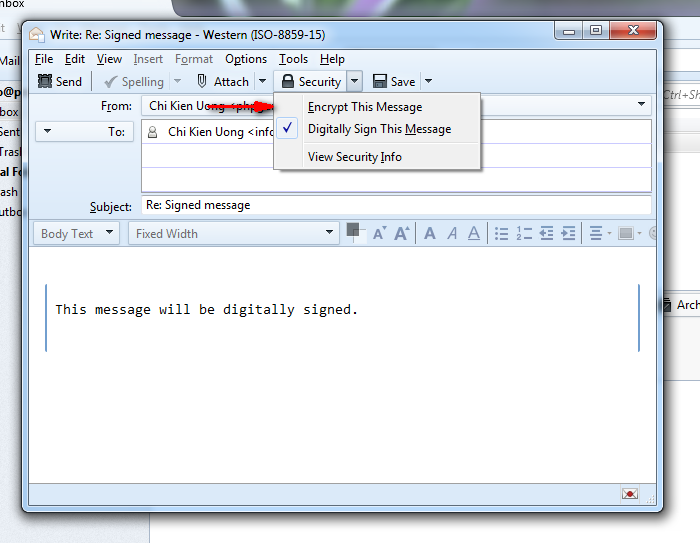 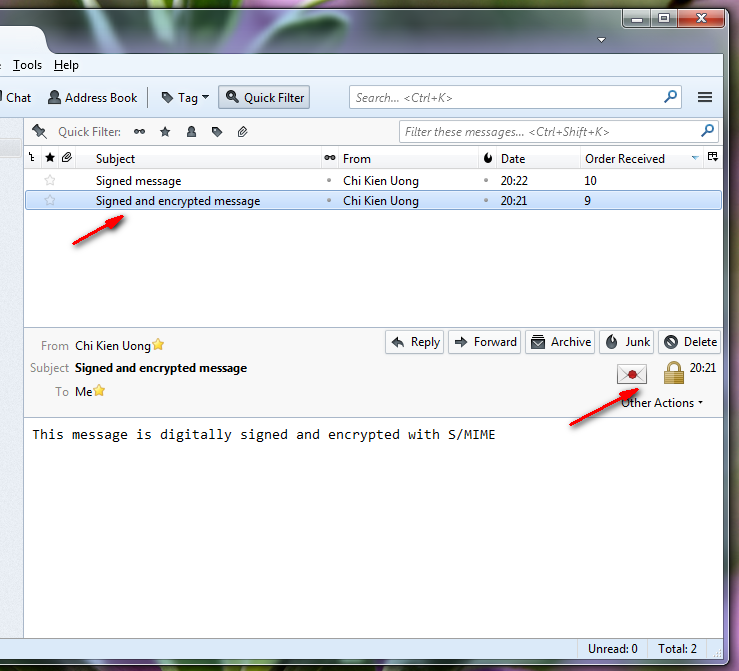 An encrypted message is marked with a padlock icon in Thunderbird.